Recently, alternative news journalist Alexis Brooks met up with Mary Rodwell, author, ufologist and hypnotherapist. Rodwell is a prominent figure in the research of phenomena related to Star Children, a race of hybrid beings with alien DNA, also claimed to be a new species of humans with superior cognitive abilities. Her insights have allowed Rodwell to present an intriguing theory on the possibility of a new human race emerging during our time. She believes the increase of young children claiming to be aliens is not determined by contact with the media but an actual result of abductions and alien experiments. Regression therapy sessions with many patients have allowed Rodwell to foray into the psyche of the abductee and the experiences they relayed seem to have convinced the researcher that a new breed of Homo is ready to enter the scene. 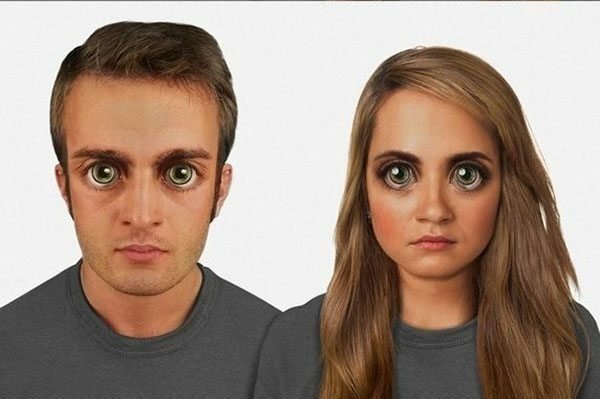 WHAT WILL THIS NEW SPECIES OF HUMANS LOOK LIKE? Studying the differences in perception exhibited by these children makes Rodwell assume that a number of conditions they are often diagnosed with could also be a sign of latent abilities. To her, syndromes like Asperger’s and ADHD might be a direct result of genetic manipulation by a technologically-advanced race of extraterrestrial origins. If this is the case, the so-called ‘junk DNA’ in our genome could serve an array of functions we never bothered to study or understand. Compared to the past decades, we might know a whole lot about our source code at the moment, but there’s still a lot to learn. We don’t know how deep the roots go or how one gene influences another. The mechanism through which life constantly upgrades itself is one too fine to be properly understood by modern science. Therefore, the answer to the question Where do we come from could have been right in front (or inside) of us this whole time, we just don’t have the language skills to decipher it. Sharing this opinion is The Human Genome Project’s Prof. Sam Chang, one of the first specialists to refer to junk DNA as having off-world origins. These alien sequences have their own systems and resist certain drugs,” he was quoted as saying. Adaptation is the mother of evolution. But these processes take thousands of generations to become norm. So when there is such a wide gap between two successive generations, there must be an external factor in the middle. That factor could be willful manipulation of the human genome. Extraterrestrials with their own agenda and the tech to back it up could be planting the seeds of the next gen right as you’re reading this. And judging from the state our planet is currently in, maybe a race of better, faster, stronger and most importantly, smarter humans could be a godsend. As a species, we’ve become advanced enough to have the means to satisfy our greed. Technology lets us dig deeper for resources, the blood and bones of our planet sucked dry and picked clean. You don’t have to be Stephen Hawking to see our global civilization is steadily going downhill with cut brake lines. We expect scientific breakthroughs to save us, to make it rain free energy so we can all pursue our dreams free of burdens. We halfheartedly dream of utopian futures where man has subdued the planet and is comfortably living in sterile environments, no need or want. But deep down we have already accepted the grey future that looms over the horizon. Resources are getting sparse. Overpopulation and climate change will bring about new exoduses and new conflicts. One way or another, we’re going to have to change our ways. Otherwise a new generation or a new species of humans altogether will have to mitigate the damages we’ve caused. The question is, will all of humanity become activated to a ‘higher intelligence’ when the new players arrive? Or will we be put away in the dark recesses of humans that were but now aren’t? Will we share museum space with the Neanderthals we drove to extinction with our bigger brains and appetites? Will our desires be the end of us? Give the video below a watch, the answers to some of these questions might satisfy you.